MCHEF®’s mission is simple: “Contribute to the clean-label food mission by continuously developing innovating and improving flavors, raising awareness about the use of wholesome ingredients & spices and sharing knowledge without compromise, while allowing for dietary restrictions such as; gluten, nuts, allergens, low in sodium, GMO, MSG, sulfate, sulfites and so many more.” The prior objective is promoting a new approach to the food processing industry – an approach that was focused on providing premium ingredients and technical services that met the specific needs of all its customers in the food service industry. Over the years, our company has set itself apart from its competitors and has become a unique leader in the spice agro-innovation. 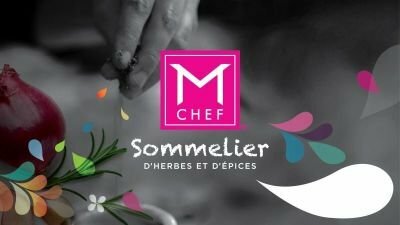 For more information about Chef Marie, you are invited to click on this link to view her media website. 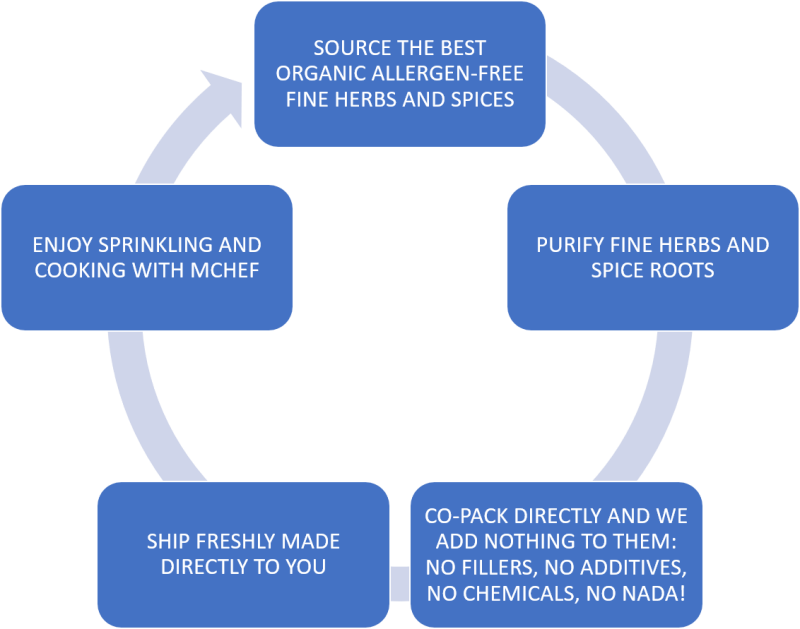 MCHEF® is part of a healthy lifestyle, clean eating, and we are proud to give you one of the best quality ingredients ever found on the market. Food isn’t our only passion. We care about our community and the next generations and that’s why we give back to St. Jude Children’s Research Hospital who is admirably giving their support to children in needs in 50 countries. We found their organization honorable. Let’s give generously to research for our children. Be part of the clean-label mission with us! 1. Outsource the best organic herbs and spices from around the world mostly from India, South of Europe, South of America, Asia and North America. 2. Purify them with latest natural herbs and spice cleansing methods such as steam evaporation and ionization. 3. 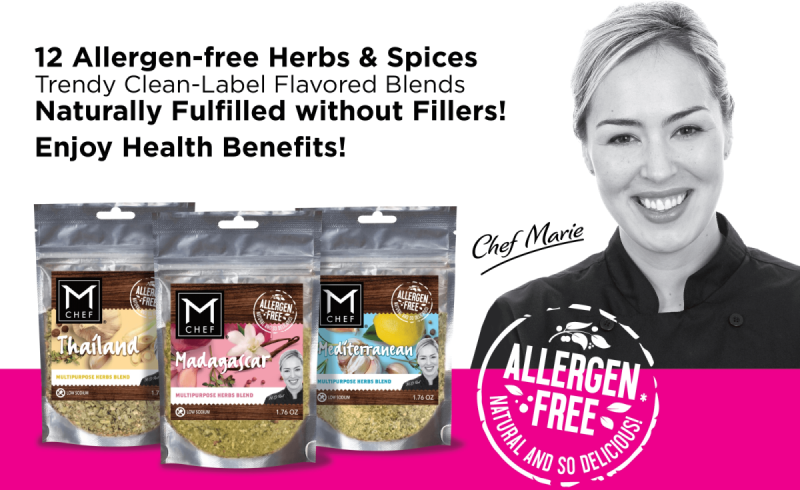 In our laboratory, we do not work with allergens; we do not add anything to our herbs and spices: fillers, additives, chemicals. 4. We have developed the best packaging to preserve quality, freshness, and colors of herbs and spices. 5. Then the herbs and spices are ready to be used and sprinkled over every day recipes for your cooking – baking and even mixology. You can now enjoy the health benefits of herbs and spices. Simply to improve quality of life and cooking experiences! Sprinkle half the amount you are usually adding to your food prep because our products contain only herbs and spices. Save on cost and on ingredients! Let's bring back quality ingredients to healthy nutrition.